Foxboats was featured in the Cambs Times newspaper and website for celebrating their 40th year construction complete narrowboats. 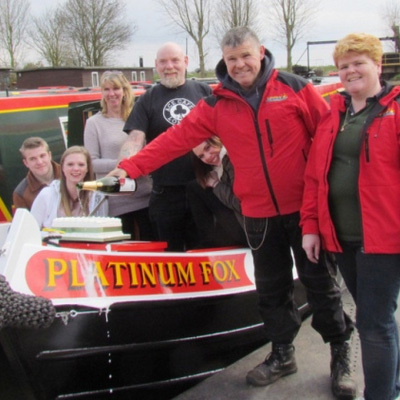 Tracey and Gary were pictured performing a naming ceremony for Platium Fox our latest narrowboat. Now Foxboats have a complete Enjoy England 5 Star rated narrowboat fleet.